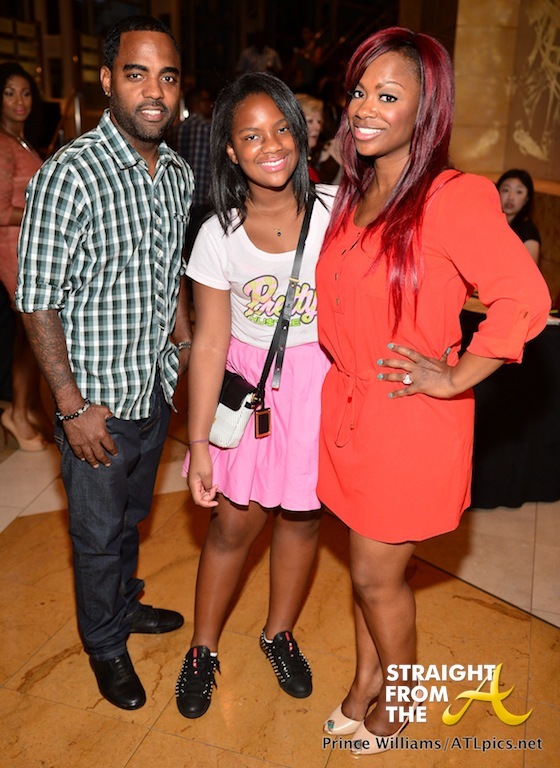 Kandi Burruss of The Real Housewives of Atlanta and her fiancé Todd Tucker were all smiles as they shared date night with daughter Riley for the opening night of ‘Da Kink in My Hair’ stage play (September 6, 2013). Trey Anthony’s 4 time NAACP Award winning stage play debuted in Atlanta’s Cobb Energy Center with a stellar cast consisting of 2-time Grammy Award winning R&B artist, Melanie Fiona, R&B Divas’ Angie Stone and Actress Terri J. Vaughn. In addition to Kandi and her crew, other attendees included Q. Parker, Sharlinda & Sabrina Rowe, celebrity hairstylist/’Fashion Queen’ Derek J, radio personality Kendra G, Towanda Braxton, Demetria McKinney & More.